After the BMW M6 GTLM’s mixed bag of results, the Bavarians are now onto their next car, the brand-new BMW M8 GTE. It’s a racing car that fans have incredible interest in, even BMW fans that don’t follow its motorsport campaigns. That’s because the M8 GTE and the BMW M8 road car are mechanically quite similar, so the race car gives us insight into what the road car will be like. 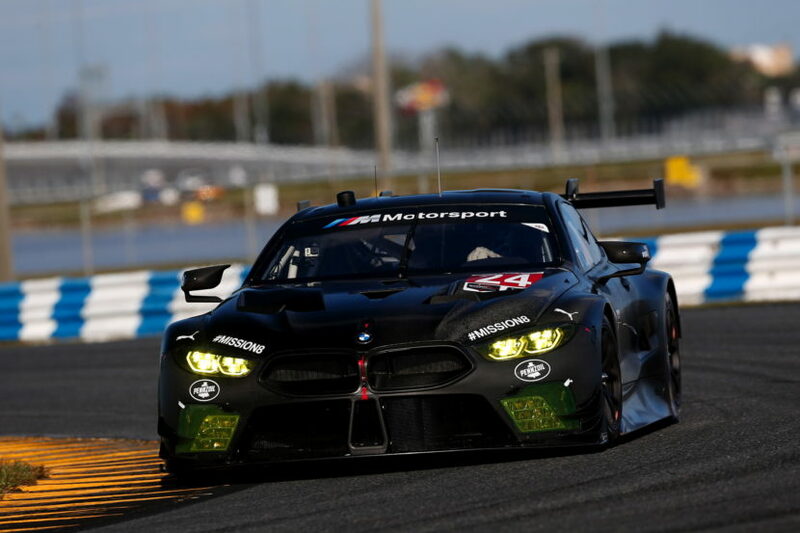 Which is why all eyes are going to be on Daytona this week, as the M8 GTE is about to make its racing debut there, during the Rolex 24 Hours. The BMW M8 GTE is powered by a modified variant of the S63 twin-turbocharged V8. Now, it displaces only 4.0 liters and makes a flat 500 hp, as that’s regulation. That engine sends power through a Ricardo six-speed sequential manual gearbox. We’re not entirely sure what engine the road car will use, as we previously thought it would use the same modified S63B44T4 as the F90 BMW M5. But the M8 GTE uses a modified S63 engine of only 4.0 liters and that “The cylinder block and cylinder head are taken from the production engine”, as per BMW. So we’ll have to wait and see what engine powers the road car. This new M8 GTE is an exciting car, though. Not only is it an all-new endurance racer for BMW but it will come with a new team as well. The No. 25 BMW M8 GTE will be shared by Bill Auberlen (USA), Alexander Sims (GBR) and Connor De Phillippi (USA). As for the No. 24 BMW M8 GTE, that will be driven by John Edwards (USA) and Jesse Krohn (FIN) for the season, with Nick Catsburg (NED) and Augusto Farfus (BRA) supporting at Daytona. The team will once again be led by Bobby Rahal.